You had the option to purchase the OEM hitch with or without the wiring harness. The OEM wiring harness was a 7-pin flat. Some aftermarket harness can be 7-pin or down to 4-flat depending on your needs. I did the OEM 7-pin wiring harness and purchased an adapter to 4-flat when I need that. Some of the aftermarket hitches do not have enough space for a full size spare (donut only). The OEM hitch can take a full size spare and has the pre-drilled holes to attach the OEM wiring harness. I remember using the OEM hitch requires one to either cut his rear bumper or buy another bumper cover. It makes sense if you are only going to use the hitch for things like bike racks or ski racks. I’ve had the following hitch for 8+ years. It tucks just under the rear bumper nicely without any cutting. Looks & functions great. Not interference with the spare. Wt Distribution (WD) 5000 lb. WD Tongue Wt 500 lb. Try to fit a full sized tire within your Curt hitch. Give an update, because you might have a different Curt part number than I have. I installed the OEM harness and hitch. The harness came with 7 pin + 4 pin. I had no problems fitting a full size spare tire with the OEM hitch. Both kits come with complete installation instructions. From when I researched this, the Donut spare fits fine with an Aftermarket Hitch. The problem is when you get a flat. Now you have the spare mounted on the car and can't tuck the full size wheel/tire underneath and have to place it in your cargo hold. If you are on a long road trip and your cargo area is full.. you can see where this is going. I guess you could place your flat full size wheel/tire in the trailer or item you are towing as well. 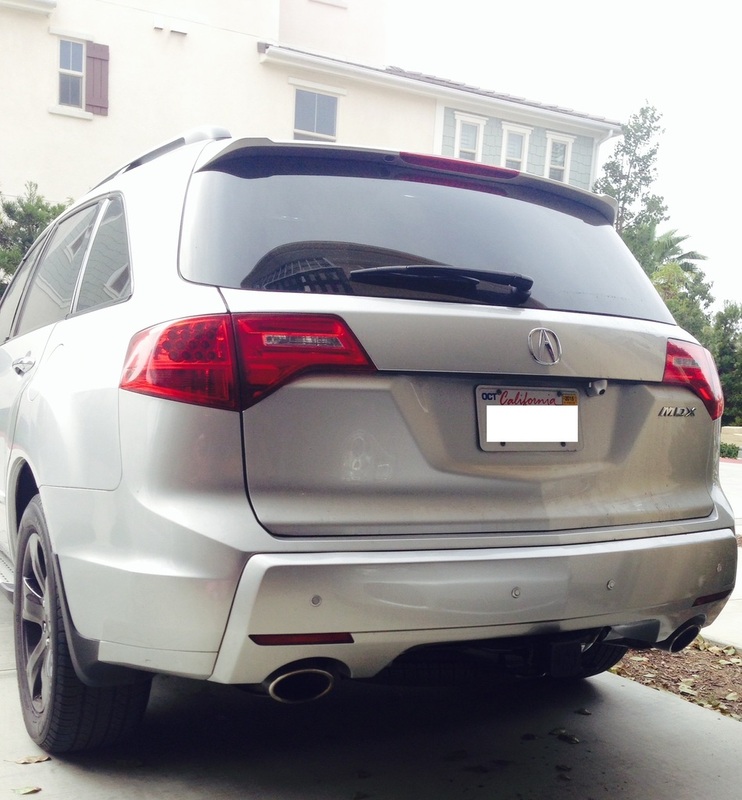 Acura also recommends having a full size spare when towing as the donut has a lower load capacity. I went with the OEM hitch and upgraded to a full size spare to play it safe. For wiring I installed the Curt 4-pin wiring that plugs right in to the factory connection point. If things have changed and a full size wheel/tire now fit with some of the aftermarket hitches that is great news. Must one cut anything to install the OEM hitch? Did you need to do anything to the bumper? I had a body shop trim my rear bumper trim to accommodate the factory hitch. The reason I did this is my factory bumper trim was painted to match the car. The other option is to just buy the already cut factory bumper trim for $80 or so and just swap it out when you install the hitch.